A world-leading airport passenger and cargo service has announced an exclusive partnership with the University of Sunderland. Swissport International Ltd, a global leader in airport passenger ground services, ground and air cargo service, are set to play a key role in supporting students seeking careers in the aviation sector. 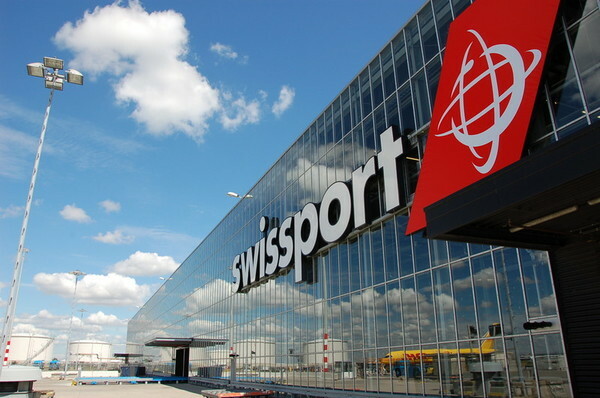 The Tourism, Hospitality and Events department has become a member of the Swissport Academy which will provide exclusive graduate recruitment opportunities for the University’s students. The collaboration will also explore continuous learning opportunities; airport visits, experiential learning, and guest speakers from Swissport to develop in-demand skills in the industry. It comes as the University prepares to recruit Tourism and Aviation Management students from September 2019 onwards. The guarantee of an interview for a graduate scheme of an international business will help provide a clear route to employment for students taking this programme. Professor Lawrence Bellamy, Academic Dean, Faculty of Business, Law and Tourism at the University of Sunderland, said: “The partnership between the University and Swissport represents the very best of opportunities for our students to gain experience and develop their career with a truly global company. Nicola Beveridge, Swissport International Ltd, Recruitment Services Manager, said: “We are delighted with the partnership with the University and to offer students the opportunity to join our business in a variety of different roles. It gives them a stepping stone that often many students lack at the end of a hard few years studying. Dr James Scott, University of Sunderland, Head of Department of Tourism, Hospitality and Events, said: “We are delighted to be working with Swissport, their input to our curriculum design has been essential in providing a course that embeds real world scenarios into the programme. Serkan Uzunogullari, Senior Lecturer in Hospitality and Tourism at the University of Sunderland, said: “We are extremely proud of our partnership with Swissport, which will allow us to embed higher-level and aviation-specific skills and knowledge to our Tourism and Aviation Management programme.